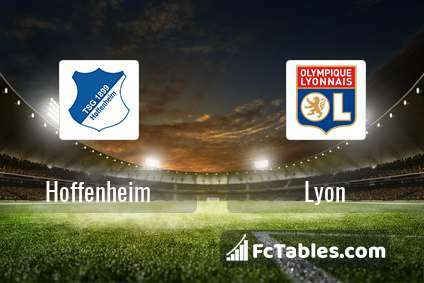 The match Hoffenheim-Lyon Champions League will start today 19:00. Referee in the match will be Alberto Undiano. Team Hoffenheim currently is on lower place in table (4 position). In 5 last matches (league + cup) team gain 1 points. To defend Lyon the most demanding players will be Florian Grillitsch 1 goals, Haavard Nordtveit 1 goals, Ishak Belfodil 1 goals, because this season they scored the most goals for Hoffenheim of the entire composition. Injuries in the team Hoffenheim: Lukas Rupp, Dennis Geiger, Nadiem Amiri, Benjamin Huebner. 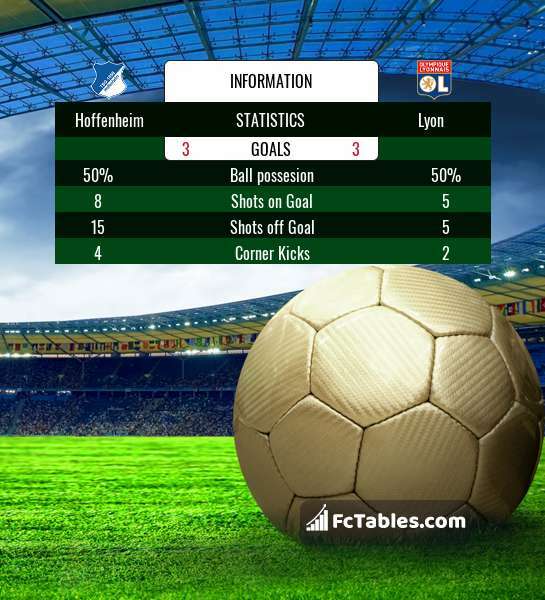 Team Lyon is at the top place in the table (1 place). In 5 last matches (league + cup) team gain 4 points. Players Lyon in Champions League with the highest number of goals: Nabil Fekir 1 goals, Gnaly Maxwell Cornet 1 goals, Leo Dubois 1 goals. Most assists in the club have: Nabil Fekir 2 assists. Injuries in the team Lyon: Rafael, Leo Dubois, Nabil Fekir, Amine Gouiri, Gnaly Maxwell Cornet.